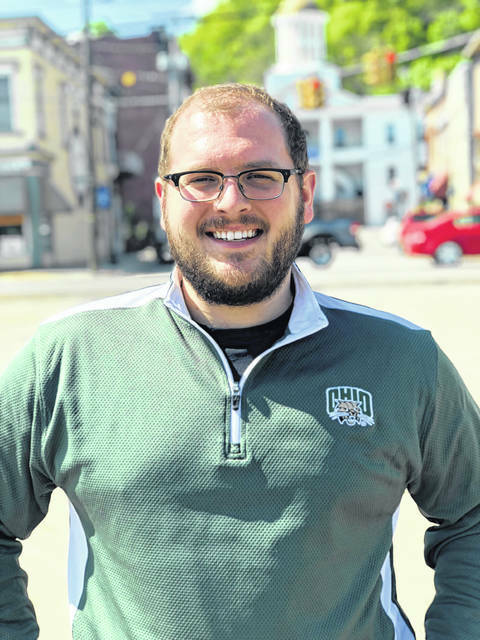 POMEROY — Taylor Sappington (D-Nelsonville) is one of two candidates for State Representative for the 94th District of the Ohio House. I am 27 years old, I fix iPhones and iPads for my small business, and serve tables on the weekend. I am a proud Buckeye and graduate of Nelsonville-York High School and Ohio University. I was raised by a single mom and taught to think for myself, never give up, and believe in something. My upbringing through struggle, I still remember the day the car was taken, and my time on Nelsonville City Council will serve me well in the State House. I’ll work across the isle on tough issues like infrastructure spending to fix up our crumbling bridges and potholed roads. But there also comes a time when you just have to stand up and believe in something. I’ll stand up to either party when it comes to money in politics. I’ll fight from day one to put new rules on the dangerous levels of corruption and cash buying our politicians and I’ll take on the lobbyists so that you can finally be heard in the State House. I’m asking for your vote, not just for this campaign, but to send a message to the powers that be that have ignored us so long in Columbus. I took a look at the State House politics over the last several years and couldn’t believe my eyes. Endless off days, a legislature that shut down for over two months this spring, no major overhauls or bills passed, and yet a building full of politicians taking taxpayer salaries and campaign money the entire time. That bothered me. As someone raised to believe in results, I am running for State Representative to be a strong voice for our area and for actually getting something done. Infrastructure spending is at an all time low in the state and you can easily recognize this just by walking or driving anywhere in Ohio, especially here in SE Ohio. Knocking doors in Middleport, Pomeroy, Racine, Rutland, and many other places gave us many great experiences. But we kept walking away from your doors with the words of folks who are sick and tired of the money and corruption in politics. That’s one reason I am refusing to accept corporate PAC contributions. I don’t take any lobbyist money. They have enough power and I think it is time for regular folks to have a voice that understands and listens to their needs. I’ll fight for new rules on lobbying and money in politics on the first day as your State Representative and I won’t look back until we get it done. These are just some of the reasons I am proud and excited to be running to represent you in the State House. We’ve been ignored for long enough. It’s time to wake Columbus up.